You’ve got to love this Flying Dog ad. 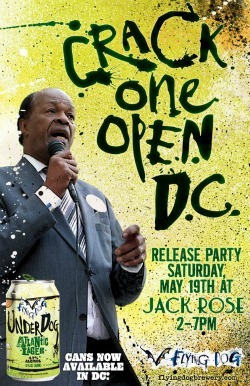 “Crack One Open DC” with a picture of Marion Berry. I have not seen any Under Dog Atlantic Lager in stores around here yet, but I will be on the lookout for it. The Maryland Craft Beer Festival is tomorrow at the Frederick Fairgrounds. Weather forecast looks beautiful. Some of those VIP beers look fascinating; Green peppercorn trippel or wild sour cherry porter? Here is a guide to the festival from the Gazette. You can still buy the discounted tickets at their site as of this morning. I wonder if I qualify for a press pass? I keep no secret of the fact that I am a big fan of Flying Dog beers. 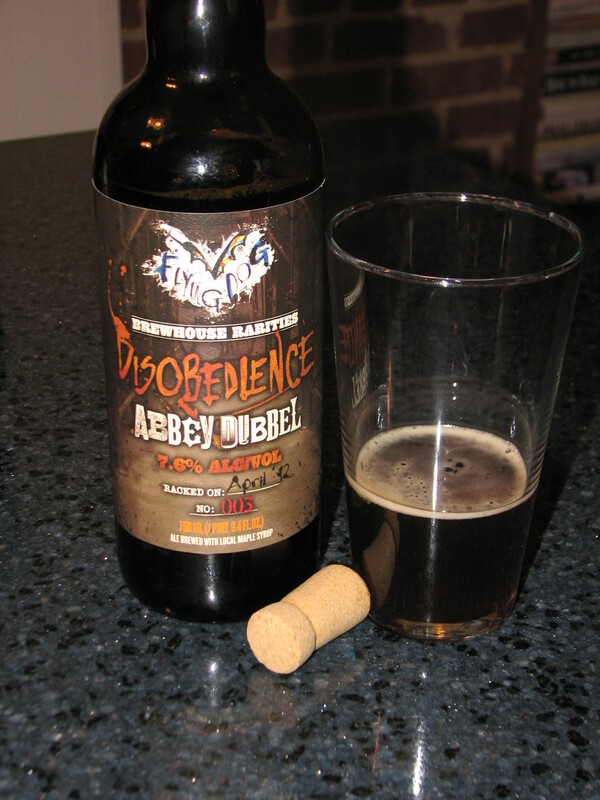 So I just had to try the new Flying Dog Disobedience Abbey Dubbel. An Abbey Dubbel is a type of beer that originated from the Trappist monks of Belgium. 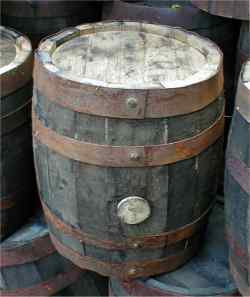 Typically these beers are double fermented which gives them complexity and a higher alcohol content. The Flying Dog Abbey Dubbel is part of their limited release Brewhouse Rarities Line. According to their website this line consists of beers that are the brainchildren of individual brewers at Flying Dog and “push the confines of conventional beer styles.” Now I’m not really sure I would say this beer pushes the boundaries of conventional beer styles, but it certainly was tasty and one of the better Abbey Dubbels I have tried. I came in a big 750 ml bottle with the racking date printed right on the front. 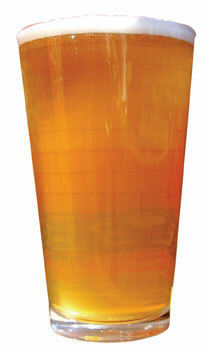 (April 12 in my case) The beer had an opaque, dark caramel color. When poured the glass was filled with fine, tight bubbles. It had a complex but gentle,creamy malty flavor. Very little hop notes were present. It finished with a touch of sweetness. Sweet is not something I’m a big fan of in a beer and I had my reservations because Abbey Dubbels can tend toward the sweet side. I also saw that it said on the bottle that it was made with “local maple syrup.” Luckily there was only a touch of sweetness, but it was not overpowering and did not clash with the food. VERDICT: A fine sipping beer! Did you know that Frederick had beer trail? I didn’t. Here is the article from the Downtown Frederick Partnership. With the exception of Roast House Pub I’ve hiked the whole trail, however I’m not sure I agree with all the listings. Certainly Flying Dog, Barley & Hops and Brewer’s Alley deserve to be on there. What about the others? Does simply serving good beer warrant inclusion? Let me know.